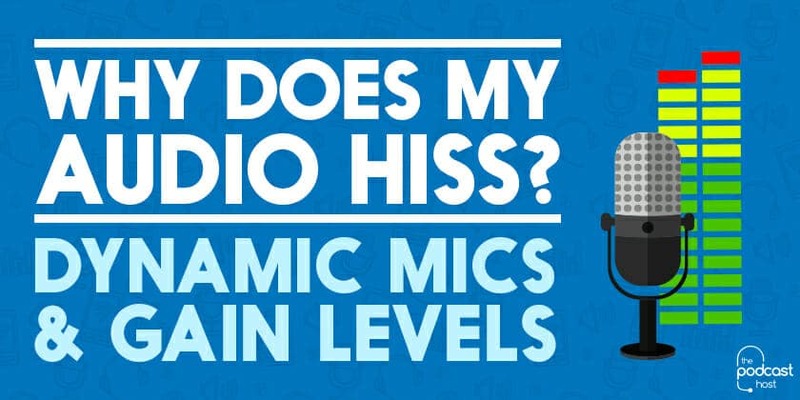 If you’re using a certain kind of microphone into a certain kind of interface (a preamp or digital recorder) you might be hearing some level of hiss underneath your recordings. If so, the type of microphone you’re using will likely be what’s known as a “dynamic” mic. This term refers to how the mic is built, and how it functions. Dynamic microphones, alongside “condenser” microphones, are the two most popular types of mic build on the market. So what’s the difference between the two? There are hundreds of pro-level sound engineer sites that’ll break down the technical aspects of this question for you. I want to keep it really simple though. That means I’ll make some generalisations that aren’t always the rule – now and then you’ll find exceptions. But here’s a good starting point for differentiating between the two. A condenser mic can be looked at as primarily something you’d use to record vocals in a professional studio environment. A dynamic mic can be looked at as something you’d use in “live” environments, and rougher “on-the-go” settings. Condenser microphones can often be more sensitive, and easier to break. Their sensitivity means they tend to pick up more sounds from around your recording environment. This can be a pro or a con depending on what you’re trying to do. Most are designed for more permanent setups on mic stands or boom arms, as opposed to being carried around, and shoved in and out of boxes or bags. A condenser mic is powered either by having its own battery, or by using a function called Phantom Power on your mixer, preamp, or recorder. This is why condenser mics can usually record at a much lower gain than dynamics – which means less hiss in your recording. Condenser mics often have multiple polar pattern options, making them versatile for different types of recording needs and setups. Dynamic microphones tend to be tougher and more durable than their condenser counterparts. If you record live, on-location, or just like having a mic on you at all times for ad hoc recordings, then a dynamic mic is a great option. Most dynamic mics only have a cardioid polar pattern, however. This means they’re generally designed for single person use. If you’re using dynamics for interviews then you’d either need to get two, or to hold one and point it back and forward. Dynamic mics are powered by whatever they’re plugged into, meaning the recording signal isn’t as strong as it would be with a condenser. This means you either need to turn the gain up more, or bring the recording level up in the post-production/editing process. Either way, that’s going to raise the level of hiss in your audio. On of the first rules of any form of audio production is to always record the cleanest possible source material. With that said, hiss tends to be a very constant and consistent noise under the vocals in a recording. This means it’s pretty easy to clean it up. Inside whatever editing software you use, you’ll usually find a process called “Noise Reduction”. This works by taking a 15-20 second sample of the hiss (on its own, with no other speech or noise), and removing this, whilst leaving everything else intact. If you find yourself using this process often, make it a habit to leave 15-20 seconds of silence at the start of each recording you do. This is a nice easy place to take your noise sample from, prior to cleanup. “Prevention is better than cure”, as the saying goes, and there are additional preamps on the market that act as a go-between from your dynamic mic to your interface. These preamps are powered in the same way you’d power a condenser mic. 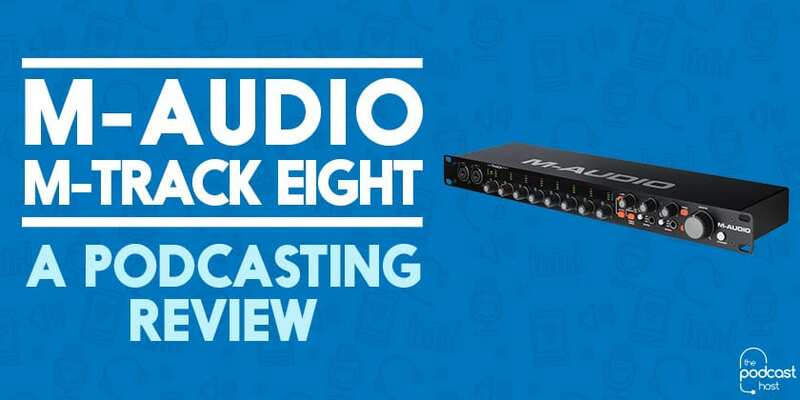 This gives them the ability to take the dynamic mic’s signal and boost it, meaning you can record at a lower gain level. For a popular examples of these little bits of kit, check out the Simply Sound SS-1, the Cloudlifter CL-1, and the Triton FetHead. A dynamic mic offers you a lot of peace of mind if you rarely ever record in the same place twice. It can travel around with you with little fear of breaking. And being a bit less sensitive means you’ll usually get better results when recording in noisier environments. So whether that’s worth the trade off of having a bit more hiss in your recordings depends entirely on how and where you tend to record. If you’ve got a decent sound-dampened room or studio, free from external noise, and you do most of your recordings there, then investing in a decent condenser mic might be a better option. But if you don’t have that luxury, and rarely record in ideal conditions, then a dynamic mic might be the way to go. Dynamics are often a little cheaper too. Especially when you get into the mid to high-end condenser mic range. 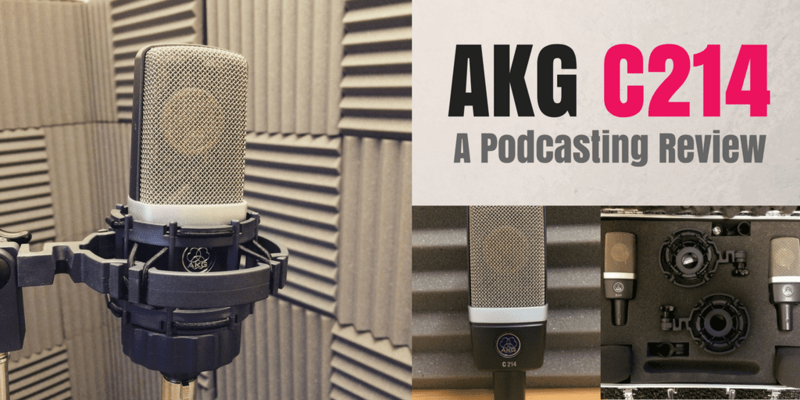 We work with our clients inside The Podcast Host Academy to offer support and guidance on this, as well as every other aspect of podcasting. Inside, you’ll find all of our video courses, tutorials, downloadable resources, guides, checklists, and ebooks. As well as that, you get direct access to us in our community forum and our regular live Q&A sessions. “Dynamic mics are powered by whatever they’re plugged into…” Actually, I’d say simply that dynamic mics are not powered, at least not electrically. What they are plugged into does not provide power to the mic. The signal generated by a dynamic mic comes solely from the “power” of the sound waves from your voice. This is why they are generally not as sensitive as condenser mics, which as you say receive an electric voltage.